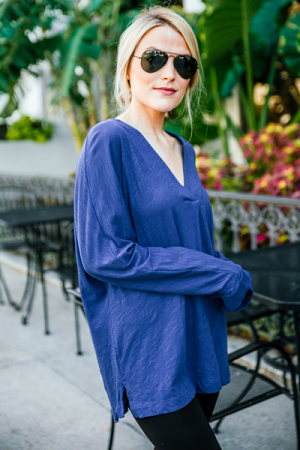 Anything with a twist front is at the top of our list when we want something stylish and flattering! The ultra comfortable poly-blend fabric is just a plus when it comes to this top! The color is perfect for the season, so you're sure to go to this top time and time again. Fit is true to size. Model is wearing small.